"The book provides more than just an introduction to key web-application technologies. Through many well-explained examples, it gives the beginning designer the ability to create a secure and maintainable site -- both front-end and back-end." 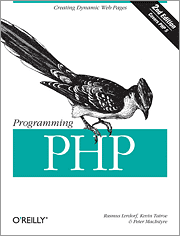 "There are several good introductory books on PHP, but Welling & Thomson is an excellent handbook for those who wish to build up complex and reliable systems. It's obvious that the authors have a strong background in the development of professional applications and they teach not only the language itself, but also how to use it with good software engineering practices." 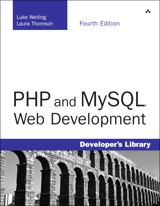 "Co-written by the guy who invented PHP (Rasmus Lerdorf,) this is a must-buy book for anyone getting into PHP or web programming in general. 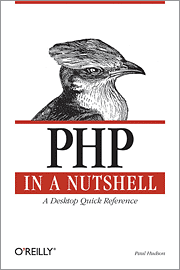 The book does not try to cover everything about PHP - instead it gives the best coverage of the core language I've ever read. Buy the book." "PHP is among the most popular Web scripting language available today. It is estimated that it is used on more than twenty million sites, providing interactivity via its capability to converse with several different database applications. 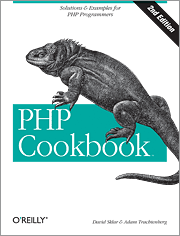 The authors provide more than 250 PHP recipes covering a wide variety of topics that are of interest to PHP programmers. This handy reference will likely save programmers hours of work since the recipes can often be used with little modification." 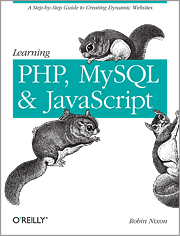 "...an ideal first choice book on PHP for programmers. It covers all of the core functionality of the language in a concise way without getting bogged down in the details of how the lesser used parts of the language function."